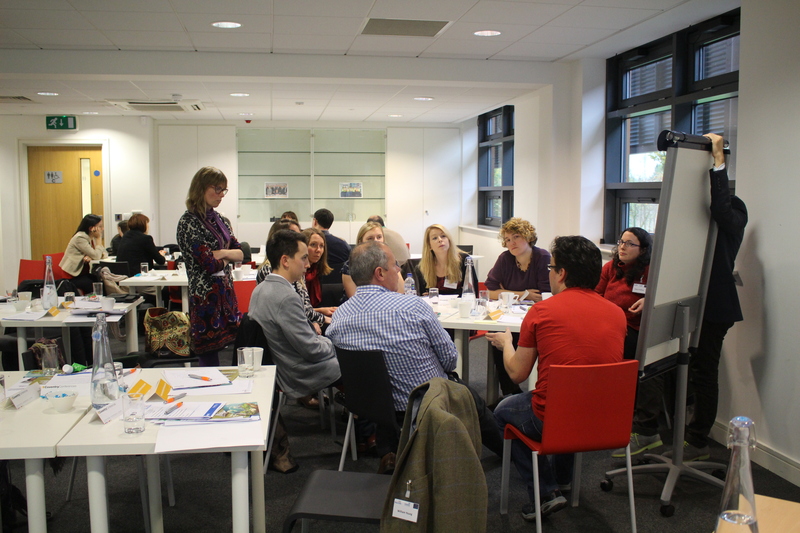 As part of the ESRC’s festival of social science, on the 9th of November 2015 the Innovation in Tackling Food Waste event brought together interested parties across different stakeholder groups to share, discuss and debate the timely issue of food waste and potential solutions. 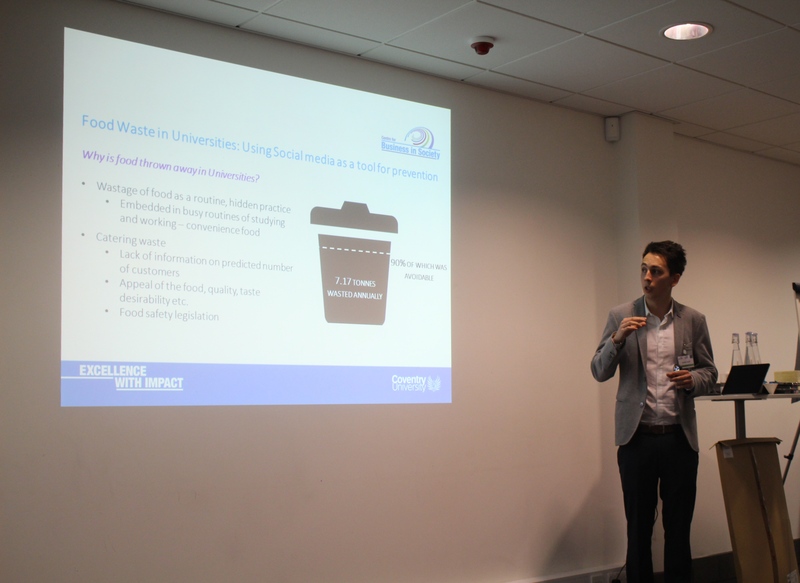 The event’s aims were three fold in: sharing academic research, disseminating innovative and transferable strategies to mitigate food waste and providing an opportunity for interactive discussion. 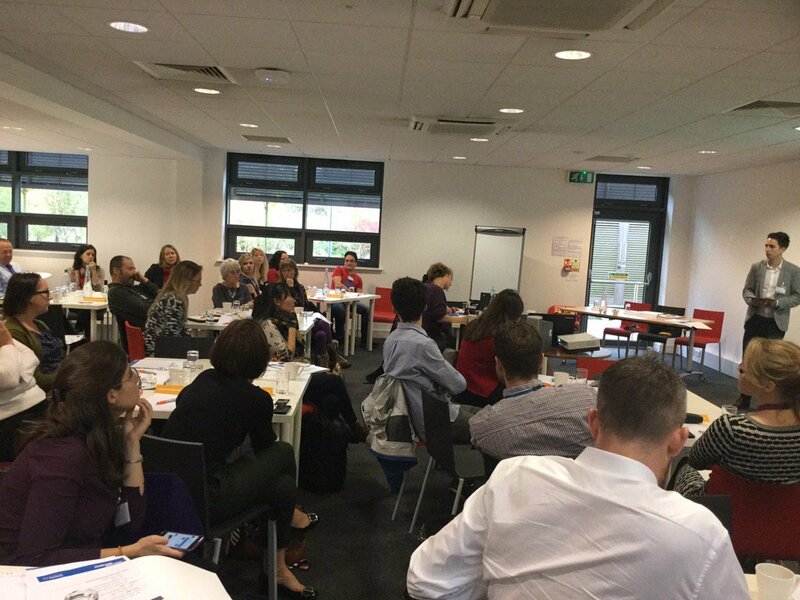 The event actively encouraged audience participation throughout the day with a question and answer session following each presentation and the utilisation of the audience engagement tool ‘Slido’. William is Professor of Sustainability and Businesses and Co-Director of the Sustainability Research Institute at the University of Leeds. 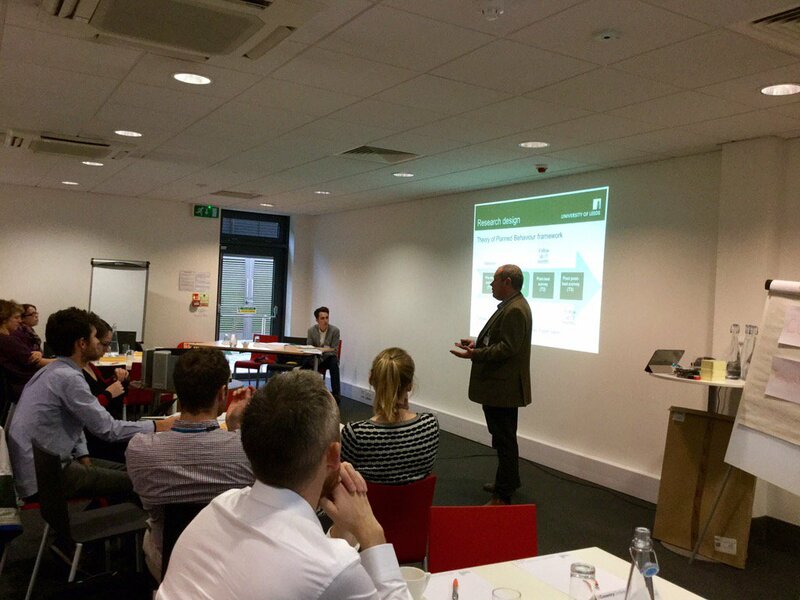 He presented findings from a 3 year co-production project with Asda to test behaviour change interventions to help their customers reduce food waste at home. Sarah is a Research Analyst at WRAP (Waste and Resources Action Programme) specialising in consumer food waste prevention and food re-distribution. 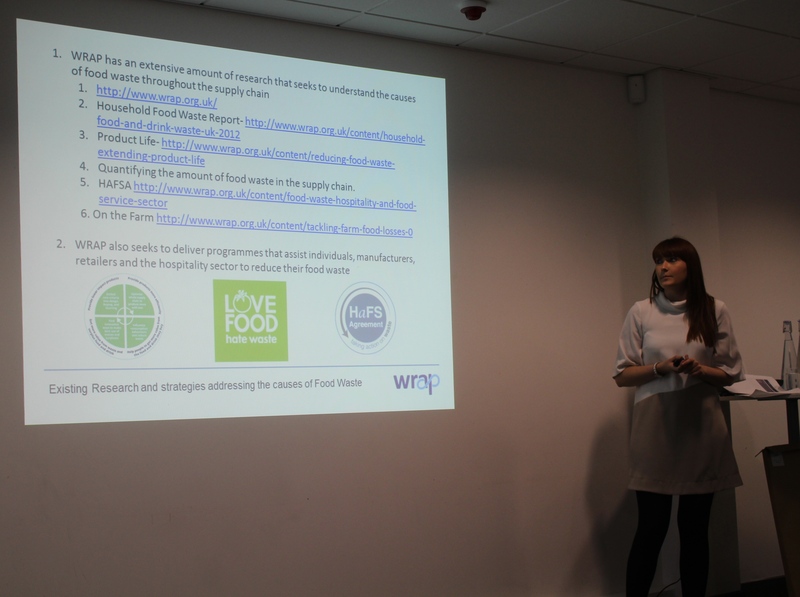 Sarah discussed several socially innovative initiatives that aim to reduce food waste as part of her work on the EU FUSIONS project. Caitlin Shepherd is Co-Founder and Director of the award winning food waste campaign ‘This is Rubbish’. Caitlin spoke about the recently launched ‘stop the rot’ campaign that calls for the retail and manufacturing sector to commit to a 30% reduction in waste by 2025. Caitlin also spoke about the need for more comprehensive auditing of what exactly is bring diverted away from human consumption across the food supply chain and for retailers to take greater responsibility for the wasteful practices they encourage. 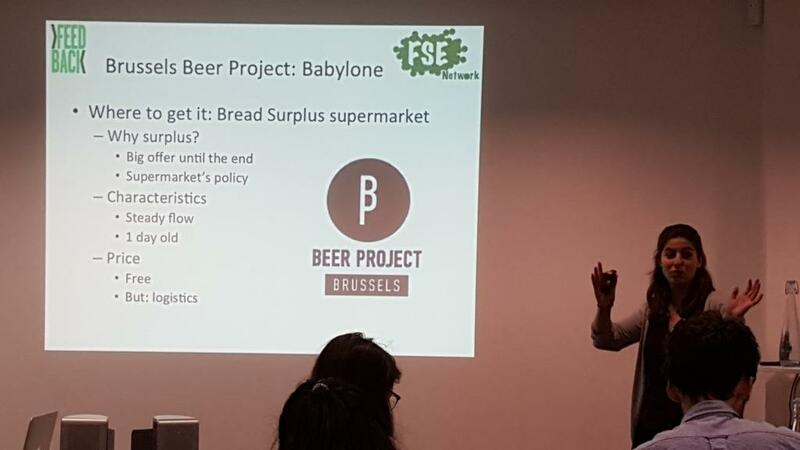 Alice Codsi is Co-Founder of the Food Surplus Entrepreneur Network which connects a European community of food surplus entrepreneurs and organisations that build solutions to tackle food waste. Alice discussed a number of different innovative initiatives that entrepreneurs have implemented to make the most of surplus food and reduce the amount thrown away. OLIO is a revolutionary new app which connects neighbours with each other and local shops so that surplus food can be shared either for free or for sale but not thrown away. Tessa outlined how anyone with surplus food can take a photo, add a brief description, set the location and price (if applicable), and neighbours can see the item available, and message to arrange pick up. Who are you most likely to listen to and trust when they talk about being greener? Have you ever stopped or changed the products you purchase because you have previously wasted it? 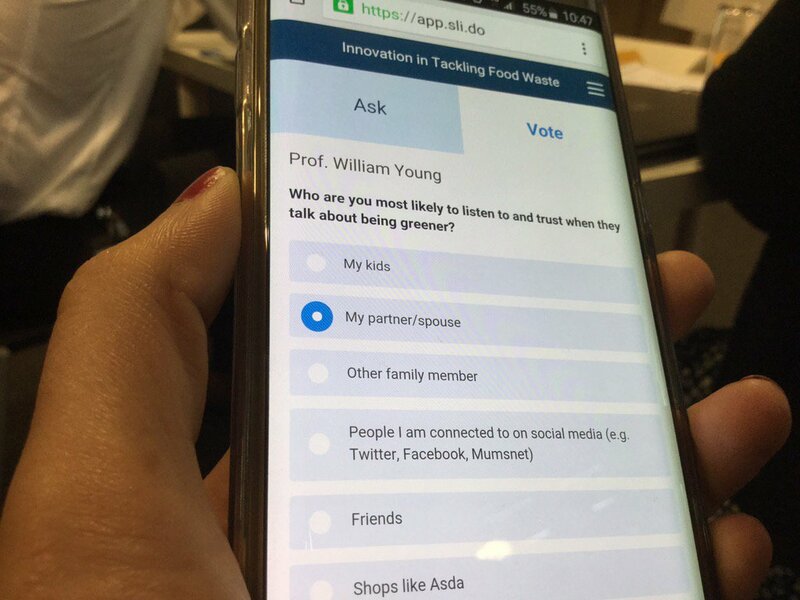 What do you think is the most important policy change needed to facilitate the socially innovative projects aimed at reducing food waste? Which of these options is the most effective way to reduce grocery supply chain food waste? 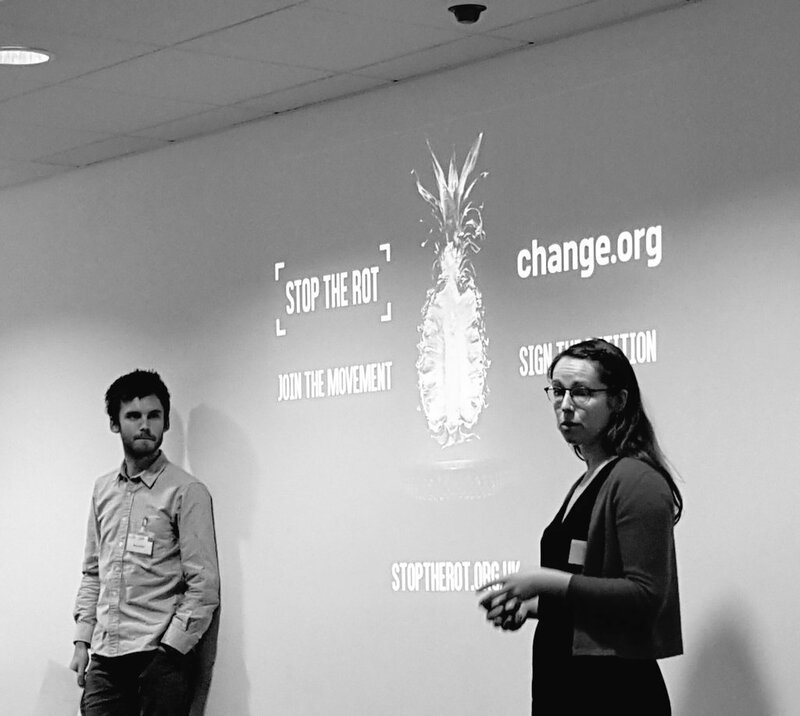 How could we push social entrepreneurship into food waste reduction? In your opinion, what are the most responsible actions businesses and individuals can take to tackle food waste? Where do you think the bottlenecks are that stop improvements in the food waste situation, and who has the power/skills to help break through these? Who has the power to help break though these bottleneck? What are some good examples/case studies of other companies/regions/countries that could be transferred here? Which issues require a greater understanding? What are the future priorities of research? Greater research around food consumption and subsequent waste practices, how can norms be changed? How does food waste change between contexts? Next The interrelationships of hunger and waste: towards more audacious solutions?